A desperate and frustrated son smashed a window at his father’s home after he had been hounding him for cash. 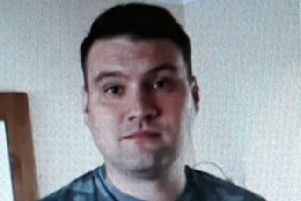 Chesterfield magistrates’ court heard on Wednesday, August 23, how Dean Leslie Eyre, 40, damaged the window at his father Harold Eyre’s home at Sitwell Villas, Morton, where they both reside. Prosecuting solicitor Gillian Foxcroft said: “There have been issues between the two of them with the father eventually contacting police to remove his son who has been asking for money and appears to have a drug habit and he was continually pestering his father before police came to remove him. “But the defendant came back and his father opened a window and spoke to his son through the gap and the son was asking for money again and his father accidentally trapped the defendant’s finger. Jobless Dean Eyre, who is on benefits, accepted causing the damage despite originally telling police it had been an accident when he had got his finger trapped. The defendant pleaded guilty to causing criminal damage after the incident on August 7. Defence solicitor Paul McLeod said: “It’s an unfortunate set of circumstances between father and son. The father suffers with depression. Dean suffers from schizophrenia and is on medication and he has been for 15 years. “He is on a methadone prescription and has a drug worker and his last seven drug tests have been negative. “The issue on the day was about money. He pays his father £200 board a month and he has a mobility car but the car ran out of petrol. Mr McLeod added that the defendant has had problems with pharmaceutical drugs and he has been on methadone for a heroin addiction. Magistrates sentenced Dean Eyre to a 12 month conditional discharge but warned that if he re-offends in the next year he will be re-sentenced for damaging the window. The defendant was also ordered to pay £150 compensation, £85 costs and a £20 victim surcharge.